Severe weather is a common part of winter in Calgary. Roof damage isn’t unusual after such an event. Although it’s impossible to avoid damage altogether, prompt attention to your roof helps prevent additional damage and keep repairs as minimal as possible. Wondering if a recent storm damaged your roof? Here’s how to check for damage to Calgary roofing. A visual inspection from the ground is one of the best ways to check for damage after a storm. Walk around your home looking for damaged or missing shingles. Broken, curling, torn, or missing shingles should be dealt with promptly by Calgary roofing companies. Trees are often hit hard by severe weather, particularly high winds and heavy snow or ice. Checking out the trees on your property is a good way to get an idea of whether your roof is damaged. Are there fallen branches? Have large limbs cracked? Did any branches land on your home? If heavy branches are resting on the roof, it probably suffered damage and needs repairs or roof replacement. Windows and skylights in your home can also provide indications of possible damage to asphalt roofing. Inspect them for cracks, dampness, or dripping water, which are signs of roof damage that requires attention immediately. Keep an eye on things around your neighbourhood after a storm. Are there downed power lines, damaged trees, or homes missing shingles? 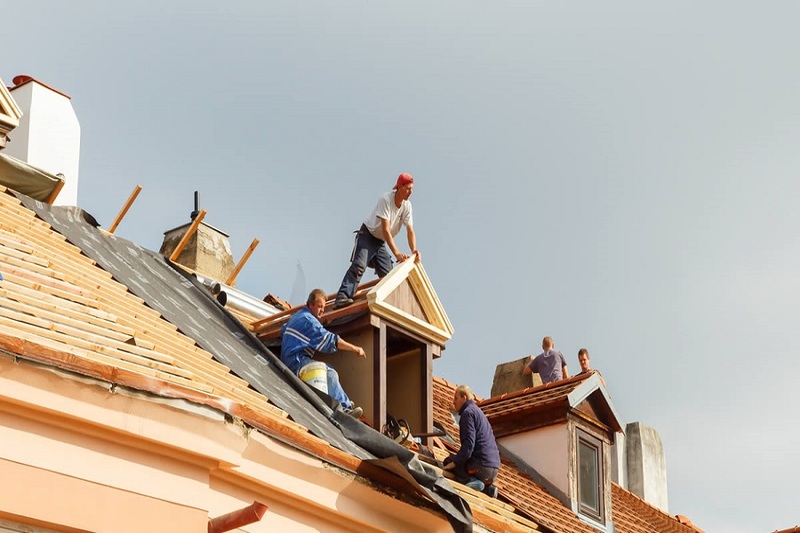 Are Calgary roofing companies repairing damage to your neighbours’ roofs? If so, your asphalt roofing may have been damaged as well. Winter storms can damage Calgary roofing, but prompt attention helps avoid further issues. Check your roof after a storm and seek roof replacement or repairs immediately if you notice a problem.